So, when this arrived, I thought, "Damn son, this tub is large!" And for good reason. When I first bought this, I thought it was more balm because I didn't read the product description properly. It clearly said "cream", but when it came I was fully expecting it to be a balm and thought, "oh cool, it's massive and will last me a while!". No Jaye, wrong. This is a cream product. But okay, cleansing cream is still a cleansing cream, if it does the job well, it is what it is. This is a very creamy product, as opposed to a more balm, solid texture like my all time favourite Heimish all clean balm. Because it's lighter, you will find that you'll need more product when you use it. It's comfortably creamy, spreads well and you can emulsify it when you use it on your face. 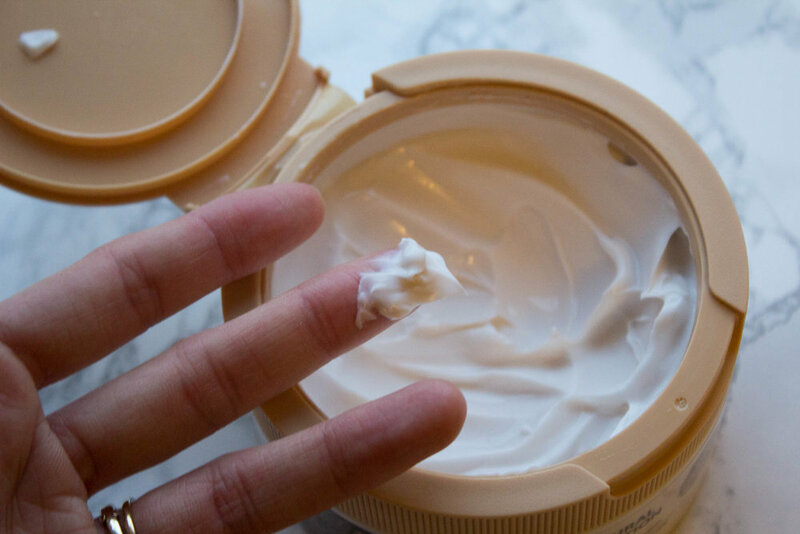 Although ti's creamy, it still feels a bit dense, bit like a rich body lotion. What you'll immediately notice next is how it smells - rice. Shoudn't come as a surprise seeing that it's in the name...but really, I couldn't smell anything else other than a faint smell of rice in this product...like rice lotion. The smell isn't overwhelming at all, it's more on the subtle end of the spectrum, which is great because I genuinely hate strong smelly products, unless of course it naturally smells like that, such as products made up of strong herbs (e.g. tea tree oils). Now... I haven't actually been using this according to how it says as I normally emulsify and rinse. The directions note that you should wipe it off with tissue, which I have also tried on a friend after heavy application of make up for a photoshoot. I can't stress enough how important clean skin is and thus removing makeup thoroughly is absolutely crucial to good skin. Instead of using a tissue, however, I have used cotton pads. The issue I have with wiping off products like this instead of rinsing is that I feel that I tug harder at the skin when wiping off in hope that that pressure will wipe off the make up after massaging that product in, rather than the product actually doing the work. Whereas rinsing, I use less pressure as the massaging really should loosen up the make up and dirt and washes away with the water. Honestly this is the part that I still am not quite sure. I think most of the time it works and when your make up isn't super heavy you can get away with cleaning your skin with this once. With my friend that had 2 inches of make up on her skin, I did this process twice to make sure everything is off - and even so I wasn't 100% convinced like I am with other balms. It may be because I'm biased because this doesn't feel like an oil cleanser. Let's start with how it feels - because the texture is lighter, it also feels lighter on the skin. It's more like applying a cleansing lotion on your skin rather than a balm that melts into oil. I'm not used to this so I'm 50/50 on how I really feel about it. On one hand I think it's great that it just sinks in and massages well, on the other hand, do I feel like it's really cleansing my skin properly...? Here I used a liquid liner on my hand to show how well it removes the makeup. So first I put the cream on top of it, massage it in, and wiped off (instead of rinsing off). Now, in the first image on the 2nd row, the first time I've used this, you can still sort of see the blue eyeliner there, then the next one is when I've cleaned it again with the cleanser and wiped it off (also wiped it off harder). I wouldn't apply this kind of pressure on my face though so if you want to make sure it's really clean, I would recommend massaging it longer than you normally would, which is what I do before I rinse it off. I've tried emulsifying this product and frankly, I don't think it does it well. It's like halfway rinsing rather than the normal emulsifying, probably because of the more creamy texture rather than a balm texture. Now, because this product is marketed as a brightening cleanser, it not only contains rice, but also papain enzyme extract that midly exfoliates and softens the surface of the skin. Rice water is rich in vitamins and amino acids - my mother has always advocated natural methods and there was a period of time where I used rice water as as toner when I was in my teenage years. It is also great for soothing, clearing up, and moisturising skin. I haven't personally used much rice products and frankly that rice toner hasn't really worked for me, perhaps because I had more problematic skin, or just too lazy to make fresh rice water every few days to use. I can't really vouch that this product has brought about that much change to my skin - the whole brightening thing hasn't really been made apparent to me. Again, I find that sheet masking has done this a lot better than using this cleanser. However, that being said, this product is great in not stripping your skin of moisture when you cleanse your face, nor does it leave an uncomfortable, sticky film over the face like some other lotion types of products I've used. That being said, I do think I wash this product off with second cleansing immediately so I don't give my skin a chance to feel that film even if it did. The immediate feeling is clean skin, but definitely not as clean as you would with a balm. I think this would be great for summer months because it's a lighter product, as opposed to me trying this out during autumn and winter month. It would also be beneficial for those with drier skin as this would not only cleanse, but also restore some moisture back into the skin, instead of adding more oil elements. So how do I feel about this product in whole. Personally I would rate it a 6/10 and unlikely to repurchase it, not because it's a bad product, but because I don't feel like it's suitable for me and what I look for in a first step cleanser. I am actually likely to use it as a second step cleanser, but still would prefer a more foamy cleanser than this. This is sort of in between balm and foamy, it's just a "halfway there" product for me. If I want to remove makeup entirely, I prefer something that is heavy duty that actually leaves my skin squeaky clean - notice how I never mentioned how clean this leave my skin, and that's because every time I clean my skin with this, I don't actually feel my skin is 100% clean. This cleanser doesn't reassure me that my skin is clean until I'm done using a second step cleanser. The product says it will do 4 things: 1) brighten; 2) exfoliate/smoothes skin; 3) cleanses; and 4) soothes (I hope I interpretated this properly as I do not read Korean and had to rely on google translate and one of the translation is "arranges the skin"....). Has it done these? Honestly, I don't know and I don't like that even after using it for a month or so I still don't know. It does it job as a cleanser, but I sure don't feel that this meets what I'm looking for in my first-step cleanser, especially when I have a lot of make up on. 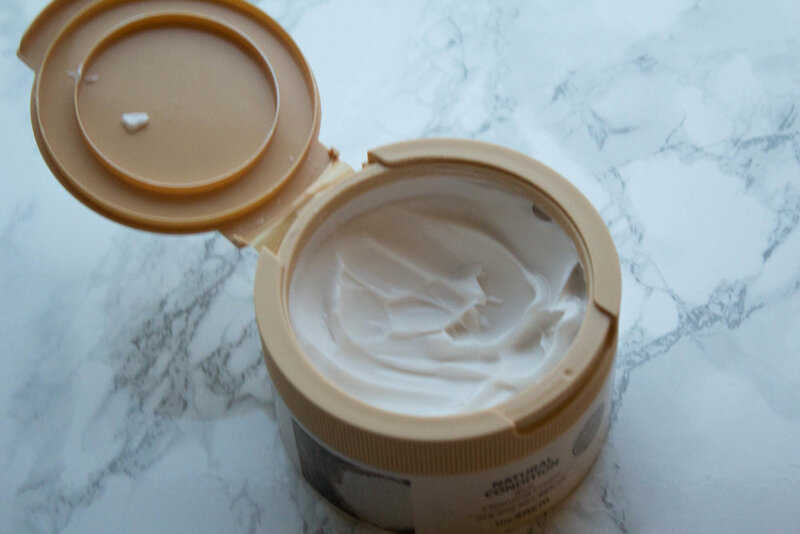 It has worked well enough in cleaning the majority off and my skin feels clean, but I certainly don't feel confident that everything is gone, which is the way I like it and exactly what balm cleanser have done for me. I can only speak for myself and my experience with this product and hope to hear your view as well! Did you like it, will you try it - maybe this product will be for you, especially if you have sensitive skin, or have roseaca/eczema as this supposedly soothes and calms the skin down. I have to say though, this product has not broken me out, so it ain't all bad!